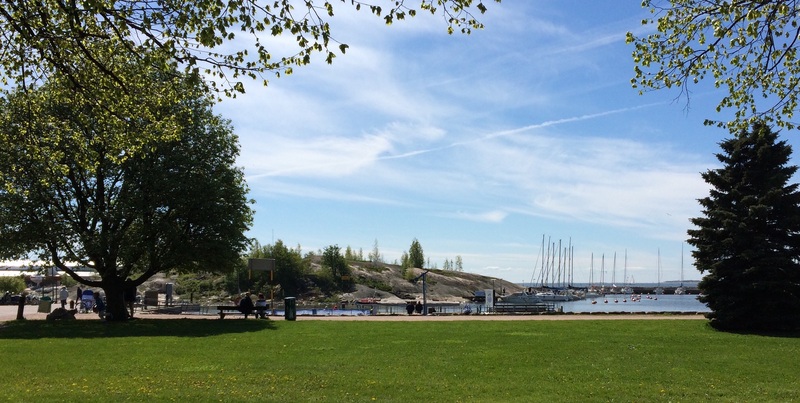 Restaurant Saari is located on the island Sirpalesaari about 1 km from the centre of Helsinki. Saari provides Finnish delicacies of the season from land and sea as well as stunning views and genuine maritime atmosphere. A boat serves the island every hour and half from the Saari pier located on the shore of Merisatama close to Cafe Carusel. The crossing takes only a couple of minutes. Also a few berths are available for guests arriving at the restaurant aboard with their own boats. You can dine either in the dining room inside, in the “Captain’s Cabin” of the private room Sampo or on the outdoor terrace. Have visited restaurant several times and review from 2013 can be found by using search. This time Saari was the place for reunion of old college students. 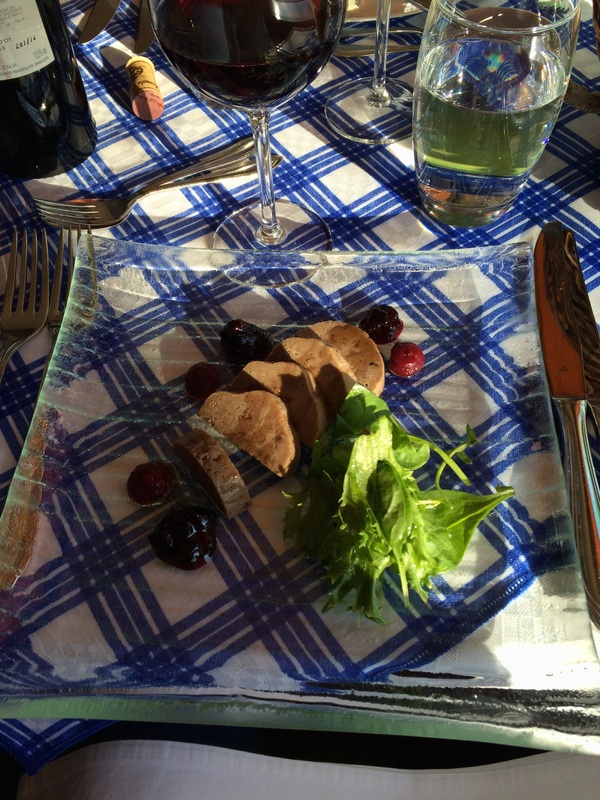 Started dinner with Elk rillettes flavored with birch syrup, beetroot and blackcurrant. Delicious starter with many tastes. Green salad lightened dish but it would not have been necessary. 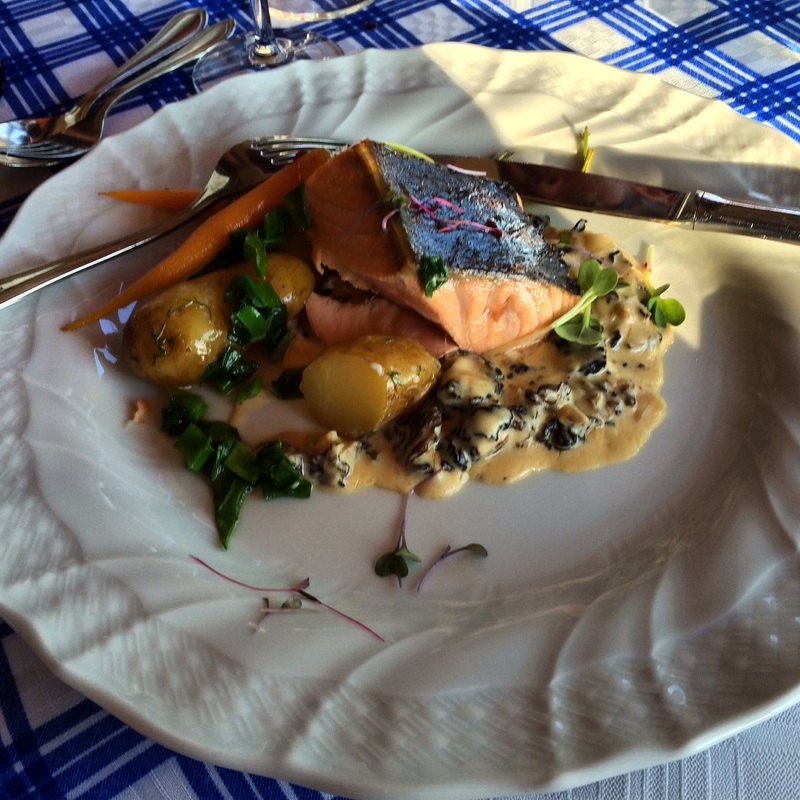 For main course ordered fish which was Salmon smoked with alder and juniper berries, summer potatoes and creamed wild forest mushrooms flavoured with Koskenlaskija cheese. Long name for dish but kitchen continued with same level as with starter. Salmon was not overcooked which is always proof of chef’s competence. Spring potatoes could not yet be Finnish but this is the time when they become available in supermarkets too. Almost skipped dessert but luckily we got one extra portion which I took. 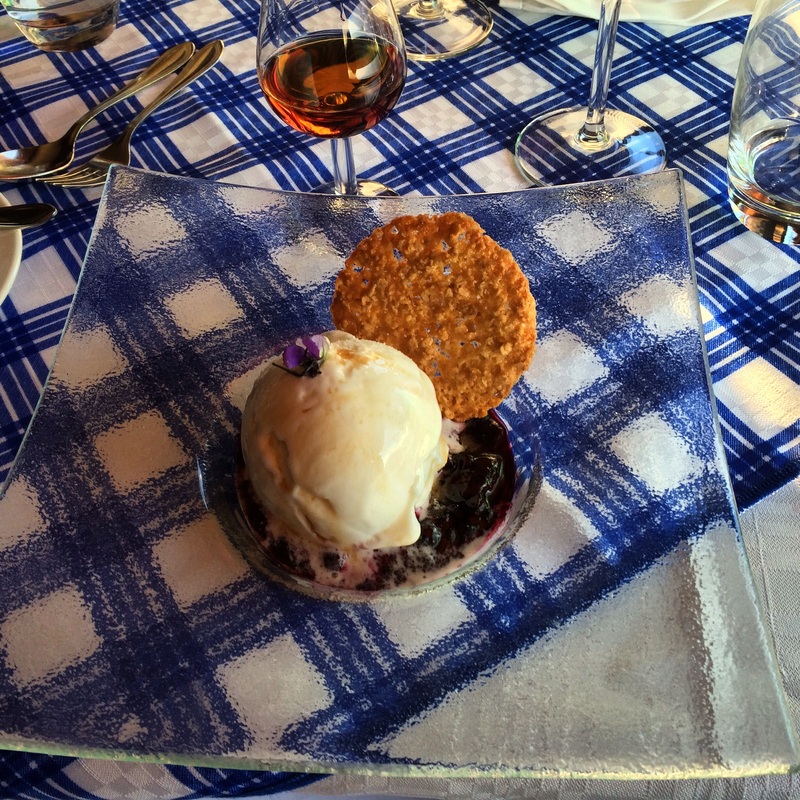 Saari’s traditional pine tar ice-cream with home-made blueberry and rasberry jam and oat biscuit by Rönttösrouva was really scrumptious. I am not sure about the lady behind biscuit but the name is difficult to translate. 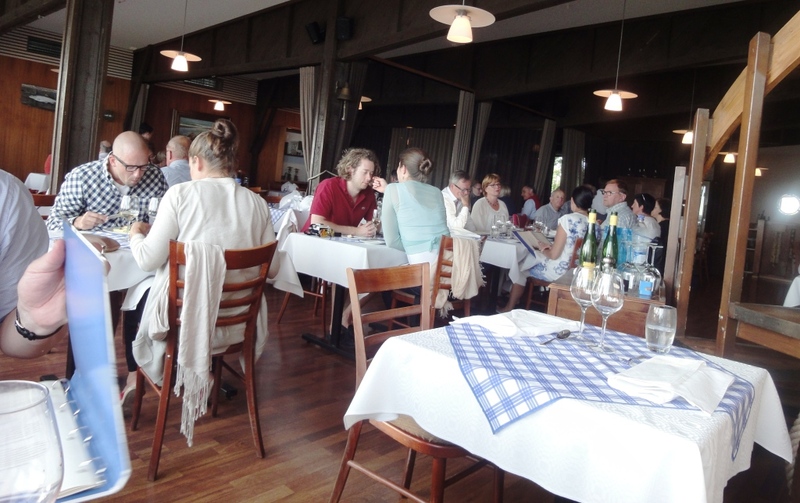 Food at Saari is always excellent and the athmosphere in old fisherman type of dining room hilarious. Service is polite and professional as it has used to be. But of course the company of college friends and discussion about funny events in the past made the dinner immemorial.